Hoi Ha Wan is one of Hong Kong's finest marine parks, home to more than 60 species of coral and 120 species of fish. 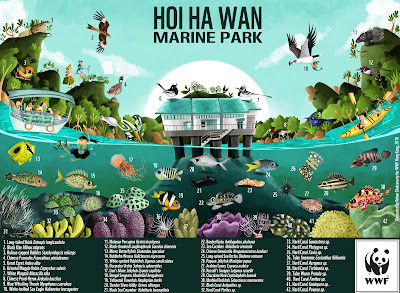 The marine conservation and education team at WWF Hong Kong that manages the park, commissioned me to create this illustrated representation of the landscape, habitat and fauna found in the park, along with illustrations of recreational and educational activities that the park offers: coral-watching on glass-bottomed boats, snorkelling and kayaking. 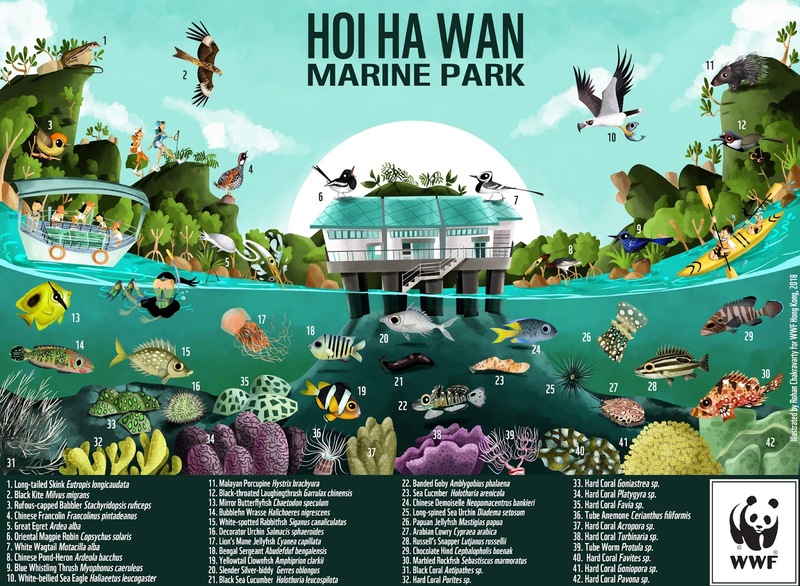 The artwork is being used in the park for an at-a-glance introduction to the place, as well as on WWF Hong Kong's website here. Thanks to Ms. Samantha Lee and the marine team at WWF HK for hosting me at Hoi Ha Wan, and for commissioning the project!